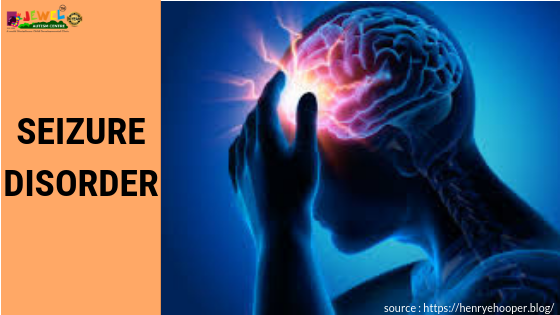 One of the great medical conditions that are characterized by episodes of uncontrolled electrical activity in the brain is called seizure. They are the result of sudden, usually brief excessive electrical discharges in a group of brain cells. Epilepsy is one of the disorders characterized by recurrent unprovoked seizures. Seizures can be classified based on the observation (both clinical and (EEG) rather than the underlying patho -physiology or anatomy. Complex partial seizures: consciousness is impaired in this type of seizure. It have simple partial onset followed by impairment of consciousness. Unclassified epileptic seizures: this is categorised in terms of their origin within the brain seizures may be described as either partial or generalized. Some seizure disorders are hereditary but others are caused by birth defects or environmental hazards, such as lead poisoning. High fever, which can be associated with an infection such as meningitis. Low blood sodium (hypernatremia) which can happen with diuretic therapy. Illegal or recreational drugs such as amphetamines or cocaine. Cognitive or emotional symptoms, such as fear, anxiety etc.. Treatment is usually by medication, although in difficult causes a special diet or brain surgery may be tried. For people with seizure, safety is one of the most important conditions. Occupational therapists are able to advise individuals on how to create a safe environment. Coping and self-management skills: these can help individuals to deal with social and psychological stress of seizures. Modify work and home environments. Provision of wheelchairs if appropriate. Can provide protective helmets or pad areas of their environment to minimize injury during seizures. Occupational therapy is highly beneficial for helping individuals with epilepsy to carry out their everyday activities as independent and safety as possible.